Connor: I am not afraid of the woods. In fact, I will go in there now. I think I left my squad behind in their from poisoned monkeys. I have a bad memory. micah:so so. the vycon keep attemping to break into our shipments of metal back to the city. we have almost been raided twice already. Ventus: Okay, Laggi. Let's go for a swim. Ti-fakara wrote: micah lights a pipe. Joe Forrest: I see, well at least you have been able to repel the attacks so far. Nothing happens as Ventus does not have the ability to summon monsters yet. Joe Forrest looks at him oddly. Please don't post pictures without permission, by the way. Also, I think it's about time you guys actually step out of the starting point lol. Connor: I am in the wilderness as we speak! Here monkey monkey. Monkey? FlareonMaster wrote: Connor: I am in the wilderness as we speak! Here monkey monkey. Monkey? The young man from earlier emerges from the back room and walks towards the door. Just so you know, in this RPG you have to state that you are entering the forest (not in dialogue). Making your character say it doesn't count since your character could say that while still being in the cabin. Okay, will do in the future! Oh yeah, Connor is at a snowy mountain after leaving the monkey forest. FlareonMaster wrote: Okay, will do in the future! Joe continues to stare at Connor strangely. Joe guides Connor out of the cabin. Connor sees the same forest landscape as before. Not sure if you were joking or not but state your actions like I just did above (normal text, not italic, and no dialogue). Also, as the world is predetermined you can't make up things such as mountains (you only have control over your character). The narrator will state what you see, and if you want more detail state that your character examines something more closely. As Joe is leading Connor out, Lucas enters the cabin. Joe Forrest: Hello, I'll be with you in a moment. Please make yourself comfortable. Okay, but what do you mean by background info? Your character, this location, or the entire game? Ventus: I'm heading off. Seeya Joe. I'll be back again. Optimus Prime wrote: Ventus: I'm heading off. Seeya Joe. I'll be back again. Joe waves goodbye to Ventus. If you are actually leaving you have to state that action (not in dialogue). Joe leaves the cabin through the front door. micah:yep. well, seeing as you already have me on file, guess i better get back to the camp. bye. micah walks outside and leaves. What difference does it really make honestly? Connor leaves the cabin, goes into the woods, attacks monkeys that were poisoned and continues his search for his missing squad. Connor: Goodness, this is hard!! Ventus: Come on Laggi, let's go for a swim. Lucas looks around casually and notices two men talking to each other (something about monkeys and sea beasts), a fireplace with a crackling fire burning within, a door leading to a back room, a desk, chairs, and a number of shelves with various items on them. Then the man that was talking about monkeys gets up and heads out the front door. Assuming that you've read the world description in the first post, there isn't too much more I can reveal without giving away spoilers. The planet (Tri) closely resembles Earth, though it contains much more magical energy in its atmosphere. Tri is currently in its equivalent of Earth's medieval times, with most of the land being controlled by major factions. The current largest faction is the Saratin, with Forax and Vycon being the second largest. To find out more you can ask non-player characters. FlareonMaster wrote: What difference does it really make honestly? Connor enters the woods, but there aren't any monkeys in sight. Suddenly, a sharp object flies out from the shadows beneath a tree and narrowly misses Connor's head! Ventus: My Laggi sensed there is trouble here. What's going on? 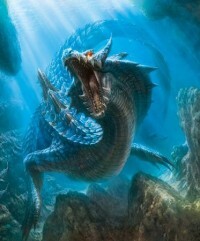 Optimus Prime wrote: Lagiacrus comes swimming back. Matt, italic text is for speaking OOC (meaning things not affecting the game). Also, you just started a new character and don't have the ability to summon a sea beast. This isn't the Forum Fight lol. Announcer:A shadowy figure appears from the door to the cabin while the sun shines brightly behind him in awe. The shadowy figure closes the door and appears to be a man named Gale. Gale walks to the closest bed and to lay down because he is badly wounded. Announcer: Will the Docter gather enough allies to defend against the mutated dogs of DOOOOOM or will they die at their last stand at the log cabin? Tune in next time on Confident Prey Forum RPG! Hint hint ( Maybe a captain of a fighting force could help Gale >.> *looks at Jon* but anyone could help out too. Well if you are Gale, where is Peeta and Katniss? I don't know what's up with the the "announcer" but there are no doctors nearby, just Joe Forrest and the other players. However Joe has some medical knowledge so he may help you when he returns. Joe Forrest enters the cabin and immediately rushes over to Gale who is lying on the floor gasping for breath. Joe: Don't worry mate, you're safe now. ehm what equipment do we have? Archaon 5100 wrote: ehm what equipment do we have? Right now you just have the clothes you are wearing but you are about to get something else. Joe goes over to Lucas. Joe: Thanks for waiting. Here, take this bag. Joe hands Lucas a pack with something in it.